We provide professional handyman services Chelsea suitable for both residential and commercial property owners. The craftsmen are there for you to deal with the property maintenance problems you might experience at affordable price rates. We've been providing expert property solutions in Chelsea for more than 10 years. All the members of the handy team have a lot of in-field experience. The team comes equipped with the latest tools of the trade. Evening & Weekend Availability For your convenience, we offer weekend & evening booking slots. No Job Too Big Or Too Small From small odd jobs to big renovation projects, we've got you covered. Professional Results We always strive to exceed our customers' expectations. You can count on us for wiring & rewiring work, changing light bulbs and much more. 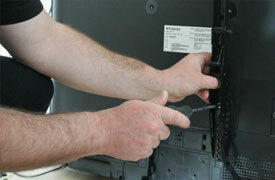 With us, you can be sure your expensive plasma will be safely fitted to the wall. We unblock toilets & sinks with ease.